A really good article sharing how to find distance between two zip codes or cities of USA. It finds distance in miles between two zipcodes of USA. It finds distance in miles between two cities of USA. Finding County based on city or zipcode name. Note: When you will download the Zipcode of USA Cities and Import to SQL Server, it append inverted comma to data, to remove that you might need to run following update cursor script. Remember you need to change name of column as mentioned in script. AT(): Returns the beginning numeric position of the nth occurrence of a character expression within another character expression, counting from the leftmost character. RAT(): Returns the numeric position of the last (rightmost) occurrence of a character string within another character string. OCCURS(): Returns the number of times a character expression occurs within another character expression (including overlaps). OCCURS2(): Returns the number of times a character expression occurs within another character expression (excluding overlaps). PADL(): Returns a string from an expression, padded with spaces or characters to a specified length on the left side. PADR(): Returns a string from an expression, padded with spaces or characters to a specified length on the right side. PADC(): Returns a string from an expression, padded with spaces or characters to a specified length on the both sides. CHRTRAN(): Replaces each character in a character expression that matches a character in a second character expression with the corresponding character in a third character expression. STRTRAN(): Searches a character expression for occurrences of a second character expression, and then replaces each occurrence with a third character expression. Unlike a built-in function Replace, STRTRAN has three additional parameters. STRFILTER(): Removes all characters from a string except those specified. GETWORDCOUNT(): Counts the words in a string. GETWORDNUM(): Returns a specified word from a string. GETNUMWORD(): Returns the index position of a word in a string. GETALLWORDS(): Inserts the words from a string into the table. PROPER(): Returns from a character expression a string capitalized as appropriate for proper names. RCHARINDEX(): Similar to the Transact-SQL function Charindex, with a Right search. ARABTOROMAN(): Returns the character Roman numeral equivalent of a specified numeric expression (from 1 to 3999). ROMANTOARAB(): Returns the number equivalent of a specified character Roman numeral expression (from I to MMMCMXCIX). Problem: User Input Form Inserts Duplicate Record on Page Refresh. 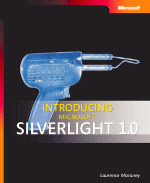 According to me among all mention solution, Page Redirect Solution is the best. Use the Keyword Tool to get new keyword ideas. Select an option below to enter a few descriptive words or phrases, or type in your website's URL. It also display following information. How to find Search Volume of Keyword. To Find Search Volume of keyword with the help of Google Keyword Tool. Possible Cause: Unkowingly I declare Method name, same as class name, which pops-up this error. Logically its out of blue to think, declaring method name as class name as it is constructor, but may be because of nature of application i have declare Class Name as Method Name and runs into Error: "Member names cannot be the save as their enclosing type". //Note: its not constructor, constructor don't have return type. 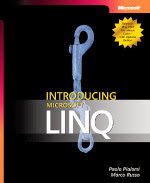 It explains Language Integrated Query (LINQ) syntax fundamentals, LINQ to ADO.NET, and LINQ to XML. 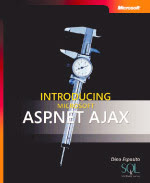 This book explains ASP.NET AJAX Extensions 1.0, including an overview and the control toolkit.